Each year since 2010, this award is a symbol of recognition, respect and appreciation for the women whose influence is felt by many through their years of service to youth in Scouting as well as in our communities. This award is presented to women who have been nominated based on their exceptional character and example of the values of Scouting, and then selected by the council committee. It is truly uplifting and inspiring to see the dedication, sacrifice, and service given by so many wonderful women. It is clear that they have blessed the lives of many and we are pleased to honor these women at our annual banquet and award ceremony in May. We invite others to join in our celebration of these women of influence! Register for the event here. 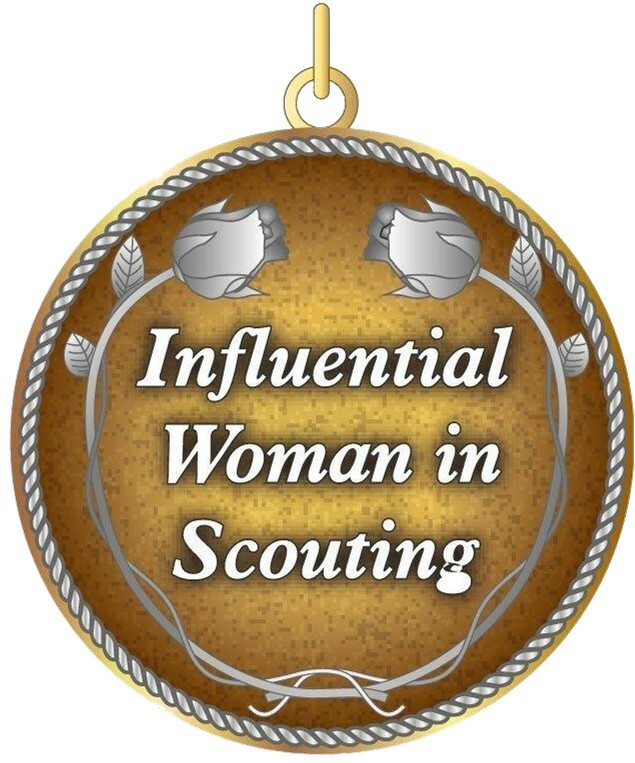 If you know a woman who have given noteworthy service both in Scouting and community, including effective involvement and significant years of accumulative service to Scouting and or service to youth in the community, click here to download the nomination form. Please email completed nomination forms to Susan Naihe at susan.naihe@scouting.org. Click here to download a copy of the event flyer. Click here to view past recipients of this unique award.